A company with a cozy name and very serious website design, HeartInternet.uk offers varied web hosting-related services. The UK-based company used to be second to none once, but it appears that some of its glory has vanished, as it has got mixed reviews. Basically, it’s the same old story: the company was founded in 2004 after its founders left Webfusion. Some time ago they have become a part of the Host Europe Group and changes followed. It is quite a challenge to piece together everything said about the hosting provider, as there are many Heart Internet supporters on a major UK review website, and negative feedback on some other pages. So far, no verdict. Starter Pro is available for 1 and 12 months for $5.25/mo and Home Pro and Business Pro are available for $12.06/mo and $12.06/mo respectively for a 12-month period. Prices in the table above are in US dollars. Prices on the website are in GBP (pounds sterling). The company offers phone numbers (the UK and international), a contact form, and a ticket system as support options. 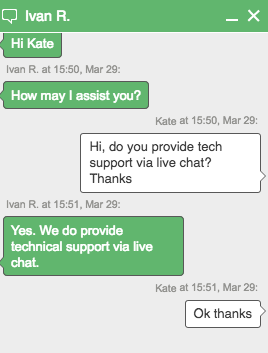 There is also a live chat that responds promptly and offers tech support as well. Also, large support database is supposed to have answers to all service-related questions. 3.3 HRank and #99: the beauty of the website didn’t help HeartInternet.uk in the performance department. Though there was only one case of ~96% uptime and the rest of the period was above 99%, the uptime chart reveals instability and rare cases of 100% performance. Until November the response time values were more in the average range (400-500ms) and at the end of the year they got faster (~300ms). The Sites chart shows a very clear increase in the number of websites in 2018. Perhaps, the provider was good (and we didn’t notice) or it had an effective marketing campaign.